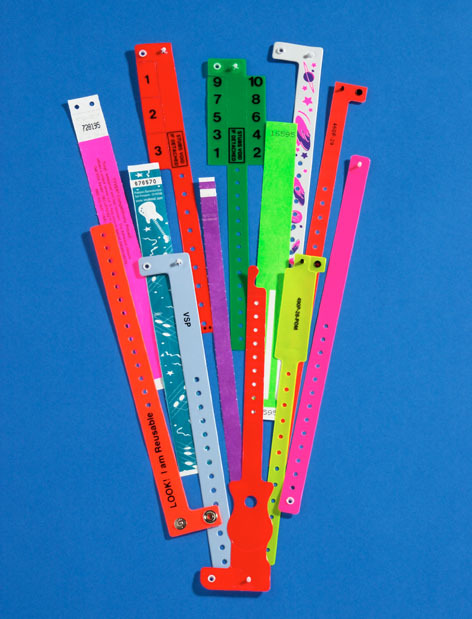 Our wristbands can be produced in soft vinyl or tyvek which are waterproof and tear-resistant. Use color choices for security identification. Perfect for crowd control, medical, events, amusement parks, festivals, carnival, parties and daycare security. Imprint with company logo. You can write on its surface. Please email your specifications and questions, or call 1-800-533-6620, or fax 1-419-476-6801.